But if science may be said to be blind without philosophy, it is true also that philosophy is virtually empty without science. It appears, then, that ethics, as a branch of knowledge, is nothing more than a department of psychology and sociology. Sentences which simply express moral judgements do not say anything. They are pure expressions of feeling and as such do not come under the category of truth and falsehood. The criterion which we use to test the genuineness of apparent statements of fact is the criterion of verifiability.We say that a sentence is factually significant to any given person, if, and only if, he knows how to verify the proposition which it purports to express— that is, if he knows what observations would lead him, under certain conditions, to accept the proposition as being true, or reject it as being false. We shall maintain that no statement which refers to a ‘reality’ transcending the limits of all possible sense experience can possibly have any literal significance. The traditional disputes of philosophers are, for the most part, as unwarranted as they are unfruitful. 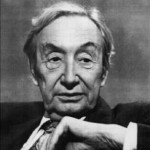 Sir Alfred Jules Ayer was a British philosopher known for his promotion of logical positivism, particularly in his books Language, Truth, and Logic and The Problem of Knowledge.He was the Grote Professor of the Philosophy of Mind and Logic at University College London from 1946 until 1959, when he became Wykeham Professor of Logic at the University of Oxford.